Join us on board our new premium dining experience train – ‘The Fleurieu Explorer’. 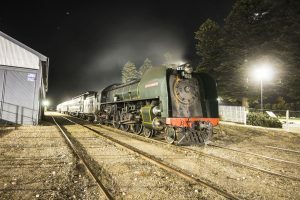 Take a step back in time, and join SteamRanger Heritage Railway for a unique evening, filled with fun, old-world charm and quality food and wine from some of the state’s premier food and wine districts. 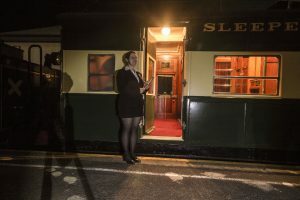 Travel in the opulent comfort of our rarely used 1907-built Melbourne Express sleeping car ‘Finniss’, or our 1930’s-built first-class steel cars, all of which feature rich timber paneling, comfortable leather seating and individual compartments, just perfect for family or social groups. Departing Mt Barker in the late afternoon, enjoy a range of local wines, beer or soft drink and taste some superb local produce provided by Goolwa’s 90 Mile Wines. Sit back, as our train winds its way through the Southern Mt Lofty Ranges, passing towering gums and mobs of Kangaroos to Strathalbyn. After a brief pause at Strathalbyn, the train will be off again, this time passing through grain crops and mallee scrub, through the hamlet of Finniss, across the towering Currency Creek Bridge, and onto the historic river port of Goolwa. At Goolwa, transfer to a road coach for a gourmet meal at the One Paddock Currency Creek Winery, or the award winning Blues restaurant in Middleton, showcasing the best of the Fleurieu Peninsula’s food and wine, before returning to Goolwa, where your train will be waiting to return you to Mt Barker. But hurry, seats are strictly limited to 70 places, and these services is guaranteed to sell out fast! (Fare includes return first class rail travel from Mt Barker, complementary glass of sparkling on boarding, on board tasting platters, coach transfers, two course meal). Bookings are Essential. Telephone 1300 655 991 to book. Please Note: Semi-Formal dress code applies. Looking for somewhere special to spend the night on return to Mt Barker? 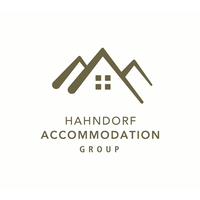 SteamRanger have proudly partnered with the Hahndorf Accommodation Group and the Hahndorf Resort to provide discounted accommodation for our guests. Call the Hahndorf Resort on 1300 763 836 and advise on booking that you are travelling with SteamRanger on the Fleurieu Explorer to receive 10% off the standard room rate. Please phone Guest Services at The Manna on (08) 8388 1000, quoting the “Steamranger” promotion to book this amazing deal! One Paddock or Blues arr. 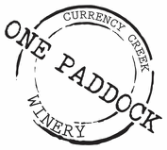 One Paddock or Blues dep. The following are are also available for purchase from the Buffet car enroute. Eftpos facilities are available. Bickfords (Adelaide Hills) soft drinks available for purchase. Please note: this train is a licenced venue, and as such, no BYO alcohol is permitted. Drinks at own expense during dinner service. · Lemon curd tart w raspberry couli, double cream and fresh strawberries.